L.E. 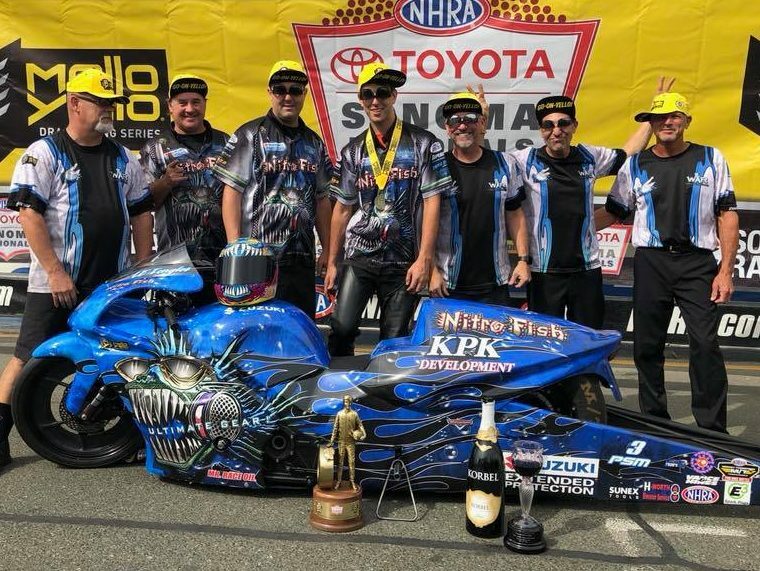 Tonglet brought home the win in the Pro Stock Motorcycle class after a 6.771 at 198.52 on his Nitro Fish Racing Suzuki to take down points leader Andrew Hines in the final round in front of a sellout crowd at the 31st annual Toyota NHRA Sonoma Nationals at Sonoma Raceway . 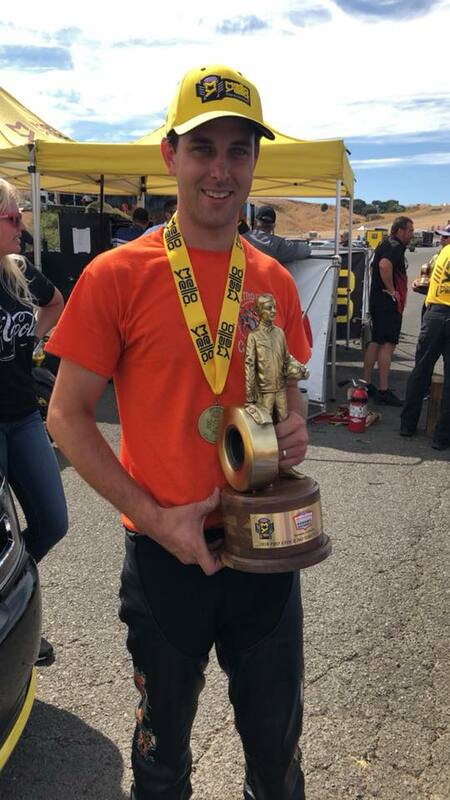 The 2010 world champion notched his third consecutive victory at Sonoma Raceway as he now has two wins on the season.